Mary’s fate was revealed on Supernatural Season 14 Episode 18, and it forged a new path for everyone involved. It wasn’t surprising that Jack had accidentally killed Mary. It was pretty much a given at the end of Supernatural Season 14 Episode 17. It’s true when someone close to us dies that it’s hard to accept that the person will no longer be part of our lives. We don’t want to believe it’s real, and it takes time to get over it. We know in Supernatural’s world, death is never permanent, but this time it is. Between the neverending flashbacks and the constant questioning about whether Mary was dead dead and the failed attempts to bring her back, we know it’s real. The fact that she’s at peace in heaven with John should provide some comfort to Sam and Dean, but it’s going to take some time for both of them to come to terms with this reality — especially Dean. Right now, he’s experiencing intense grief but soon it will turn to anger, and he’ll set his sights on making Jack pay for his mistake. Jack himself has deep regrets about what happened. He didn’t mean to do it. Mary was annoying him, but Jack didn’t know better than just to remove himself from the situation. He wanted to make it better by bringing her back to make amends with Sam and Dean, but his spell didn’t work. He summoned a lot of power, but it only brought her body back, and there might be something else that comes from the powerful spell, but it won’t be Mary. Nick was toast when Sam and Dean found him. There is no doubt that he’s gone from his world, but Lucifer is alive and well — at least in Jack’s mind. Lucifer was doing what Lucifer does best. 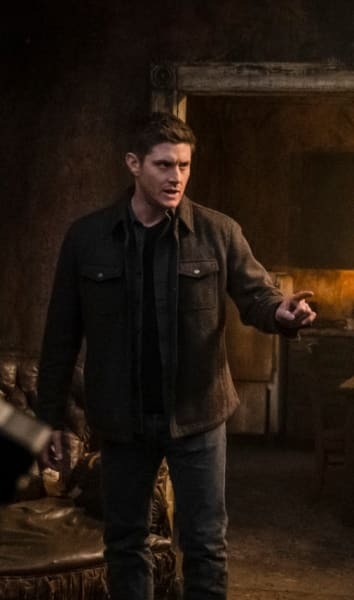 He was playing mind games with Jack and expertly played Devil’s advocate to convince Jack that things will never be the same between him and the Winchesters. Sam, Dean, and Cas all knew that things weren’t going to turn out okay with Jack, but they wanted to believe it would be different. They’re all angry with Jack, but there is also a sense of regret in that they couldn’t save Lucifer’s son from himself and his ultimate destiny. I’m not sure if Lucifer is going to return to another vessel, but I guess that for now, he’s going to stay in Jack’s mind. I’m also not sure if the Lucifer in Jack’s mind is the real Lucifer or just the dark side of Jack’s mind taking Lucifer’s form. There’s still a possibility Lucifer will return, but I’m going to guess if he does come back, he’s going to somehow merge with Jack to become a super powerful being that will take us through the final season ending with a final battle between good and evil. 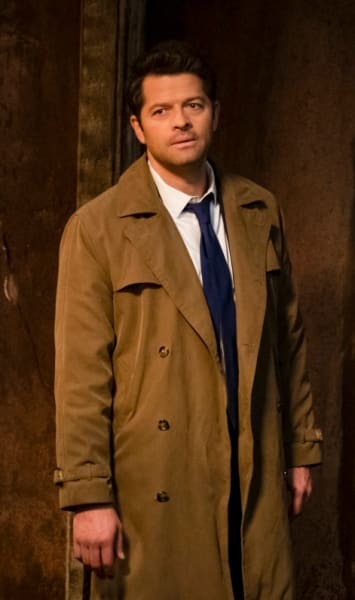 Sam and Cas might try to appeal to Jack’s good side one more time, but Dean will want nothing to do with it. He gave Jack a chance, and he has no more chances to give. Besides, Rowena will most likely tell the boys about Jack’s behavior while he was waiting for her to put together the spell materials. She might not know exactly what was going on, but they’ll all figure it out soon enough. Jack will be doing a lot of soul-searching (even if he doesn’t have one), and he’s going to realize, with Lucifer’s help, that he is what he is. Lucifer will convince him that instead of fighting the darkness, he should just let it encompass him. Jack is already feeling sad and alone, and Lucifer is smart to take advantage of Jack when he is at his weakest. It’s what the devil does. I wasn’t particularly fond of this hour. I found it boring with the flashbacks and constant reminders that Mary is dead and gone. The saving grace was the heartfelt sorrow and regret the characters experienced. I especially empathized with Dean because he was so happy to have his mother back in his life. He’ll be happy that she’s happy in heaven, but he’ll never get over the fact that she’s gone. And he’ll never forgive Jack. Ever. Will Lucifer return in a new vessel or will he merge with Jack to become a superpowerful hybrid? 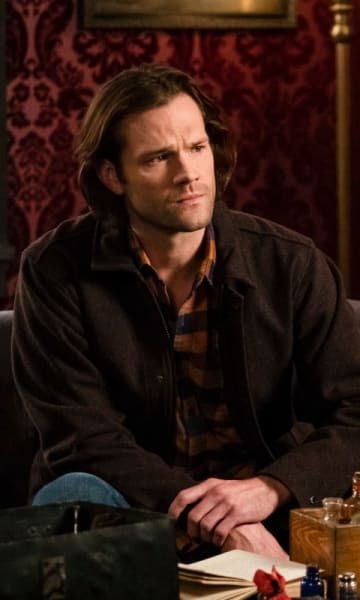 Will Sam and Cas give up on Jack? How will the battle begin and end? 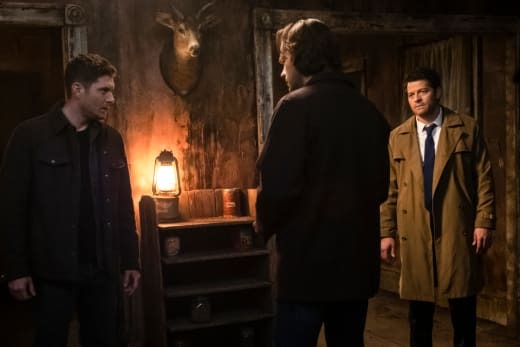 Will Sam and Dean join Mary and John in heaven at the end? Are you happy Mary is gone? Hi the comments and share your thoughts! If you need to catch up, you can watch Supernatural online right here via TV Fanatic!